Jaguar and Land Rover India has started accepting bookings for the Jaguar F-Type SVR which is its fastest production car ever. Developed by Special Vehicle Operations (SVO), F-Type SVR offered in both coupe and convertible versions. British premium car maker Jaguar has launched its fastest production car ever, the Jaguar F-Type SVR in India at Rs 2.65 crore (ex-showroom). 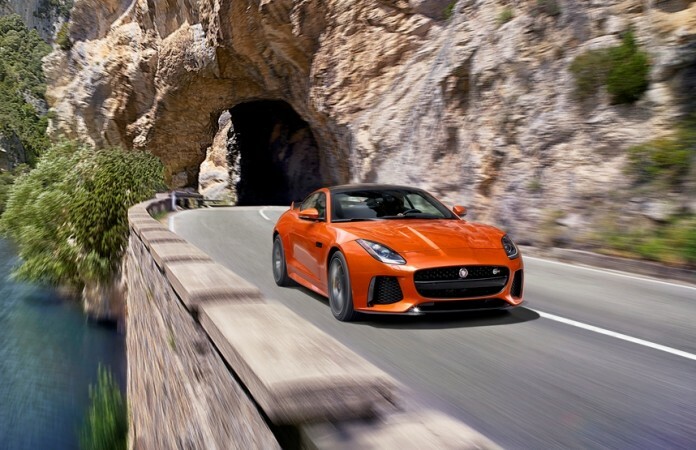 Available in both Coupe and Convertible variants, the F-Type SVR is the product of Special Vehicle Operations (SVO) team at Jaguar Land Rover. For the uninitiated, what AMG is for Mercedes-Benz and Nismo for Nissan, is what Special Vehicle Operations (SVO) is for Jaguar and Land Rover (JLR). The special wing of the company is in charge of turning its regular cars into sportier with powerful engines and performance add-ons. The SVO revealed the F-Type SVR at the 86th Geneva International Motor Show in March 2016. 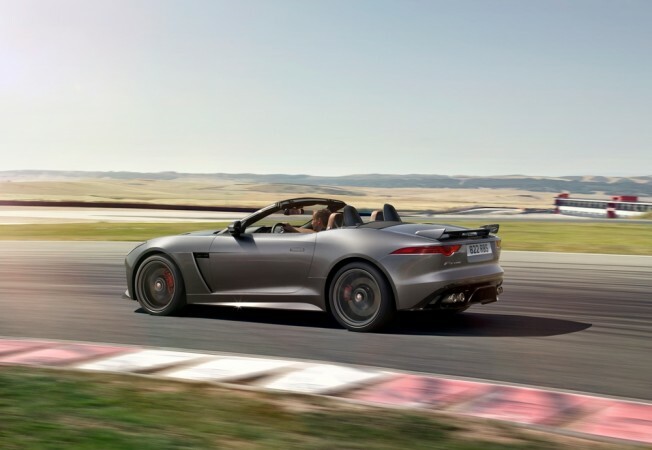 The most potent version of the F-Type draws power from the same 5.0-litre supercharged V8 motor offered in the F-Type R while it has been souped up to produce 567bhp of power at 6,500rpm and 700Nm of peak torque at 3,500rpm. Tweaks in the engine have increased power by 25hp and torque by 20Nm over the F-Type R model. The engine comes mated to an eight-speed automatic gearbox and it uses a four-wheel-drive system with Electronic Active Differential. The reworked engine has made the F-Type SVR faster. The coupe version of the F-Type SVR can sprint from zero to 100kmph in 3.7 seconds and it has a top speed of 322kmph. The convertible, on the other hand, is slightly slow. It takes 3.7 seconds to touch 100kmph speed and claimed top-speed is at 314kmph. The convertible weighs in at about 1,720 kg, slightly heavier than the Coupe which is 1,705 kg. In order to make the F-Type SVR look different from the regular F-Type variants, SVO has tweaked the front with larger air intakes and a new splitter. Ventilated hood, a titanium exhaust system, and a large rear spoiler that automatically deploys sensing car's speed add the sportiness. The F-Type SVR also packs 20-inch forged aluminium wheels wrapped in Pirelli P Zero tires- 10 mm wider than standard F-Type tyres. JLR India has started accepting bookings for Jaguar F-Type SVR and deliveries are expected to start soon. 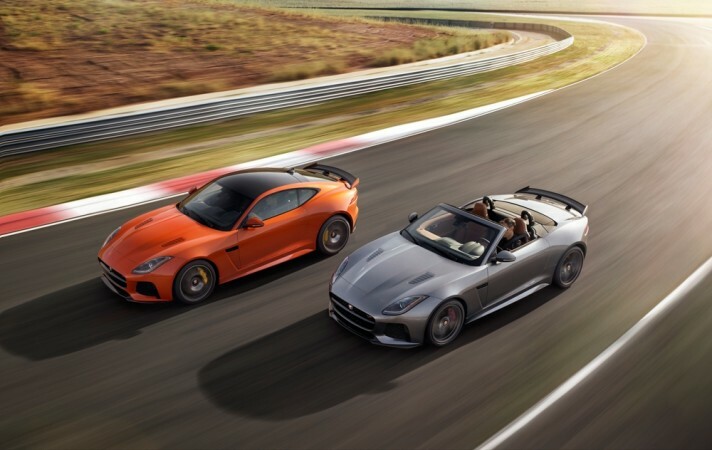 The F-Type SVR coupe goes up against Porsche 911 Turbo S and Mercedes-AMG GT R, while the convertible gives competition to Porsche 911 Turbo S Cabriolet.